There are some pretty cool things happening over on Kickstarter from IDW Games. I admit I was a bit skeptical about IDW moving into the tabletop sphere, but so far the kind folks at IDW Games have delivered some solid additions to my tabletop. Since SDCC bits of information have been trickling out about the new Teenage Mutant Ninja Turtles game. Yesterday morning it popped up on Kickstarter and looks very promising. What has me most intrigued is the involvement of Kevin Eastman. Cleary not a gimmick, Eastman appears to be heavily invested in this game. Not only is it connected to the current arc of TMNT comics from IDW, Eastman played an active role in the dice pooling mechanics. Check it out here and let me know what you think! Nailbiter #20 - Wait. No. That didn't happen. There is no way I read what I just think I read. Let's backtrack a little bit. Barker and Finch wrap things up nicely in Atlanta, but as they close in on arresting Vaughn for the string of former Buckaroo residents who have been murdered, he mentions a mysterious Master who might be part of the cause as to why residents of Buckaroo grow up to be serial killers. Barker is dealing with her own flashes of violence and fears she might turn at any moment, but this new development is very promising. Joshua Williamson is a big tease. Whenever he reveals more, you realize that there is still much more that remains hidden. All I know about the mystery, is that it is so big and horrifying, that the FBI and others who know about it will do everything they can do so it remains hidden. They won't stop it, they will only cover it up. At least Finch's partner, Carroll, who recruited Finch to Buckaroo way back in the first issue, is finally waking up from his coma. Without spoiling anything, it is worth the wait for his awakening. 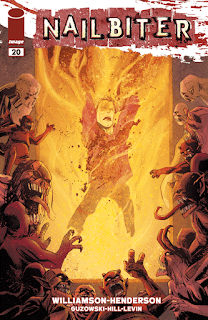 The Walking Dead #151 - Robert Kirkman gives us a very interesting Walking Dead this week. It opens with some good old fashioned zombie hunting, but the meat of this issue is what might be ultimately setting up Rick's downfall. All he is wants is the trust of the people, but all he is doing is putting his people in charge. It seems like he is opening the door for Negan to plant a seed of mistrust in one of his caregivers to really shake things up. The revelation at the end was pretty good, but I think Rick's tunnel vision is going to lead to his end. 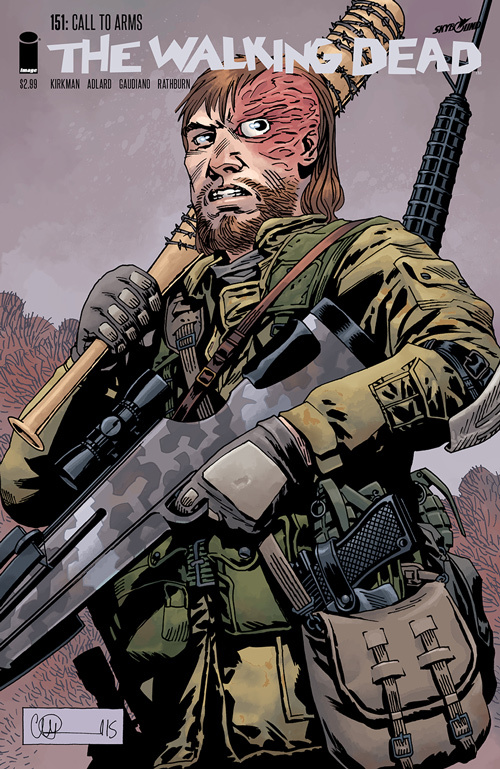 Not sure why, but I feel that he only has a few more issues left before Negan finally does him in. 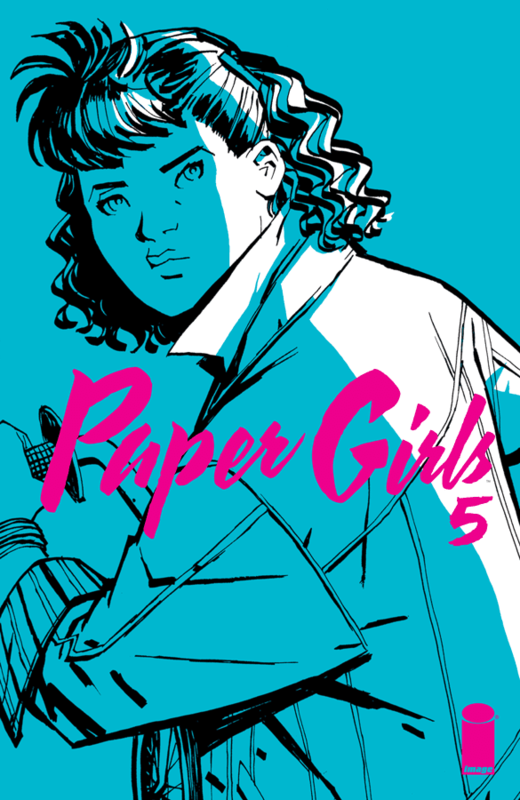 Paper Girls #5 - I am still not 100% sure what is going on, but I know that the girls are caught in the middle of a battle from beings from the future. It is a war between the older generation and the younger generation and it isn't clear who we should trust yet. 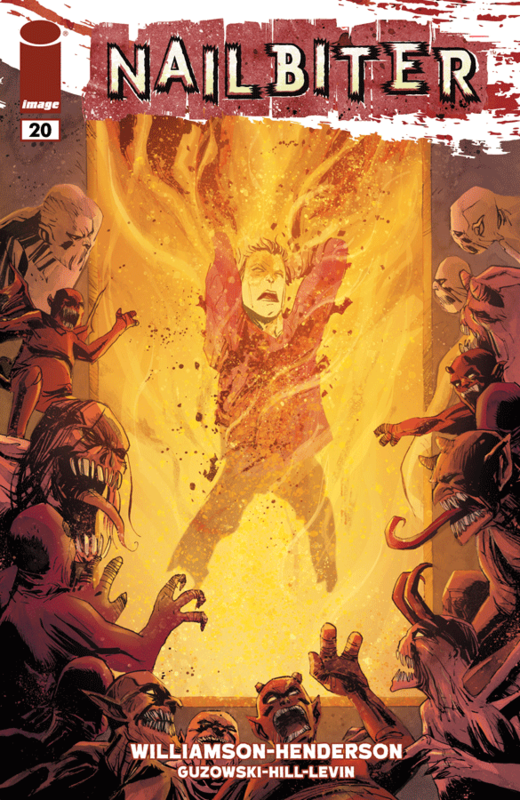 This book has come a long way from the 80's Goonie-ish movie vibe from issue #1. It has molded into a sci-fi mystery that feels right up Brian K. Vaughan's alley. The only downside is we have to wait until June for the next issue. I guess that gives you time to catch up on what has been a very enjoyable series. 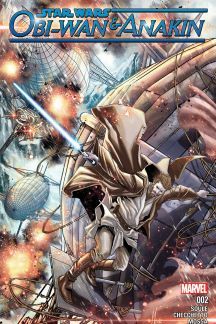 Obi-Wan & Anakin #2 - The steam punk adventures of Anakin and Obi-Wan continue as they attempt to find who sent the distress call on the ancient Jedi frequency. The waring factions on this planet, the open and closed, appear to have no middle ground. After their planet was left for dead, these two competing factions have been vying for control. While the main story is entertaining, the gem in this issue is the flashback that gives us a glimpse of how the Emperor began to corrupt a young Anakin. We don't see much, but possibly enough to bring me back for issue #3.